Pompeii, the ancient Roman town-city near modern Naples, boasted an assortment of baths, houses, temples, public structures, graffiti, frescoes and even a gymnasium and a port. But more than any of these antediluvian avenues, the city is best known for our fascination with disaster for over 400 years, after its rediscovery way back in 1599 AD. 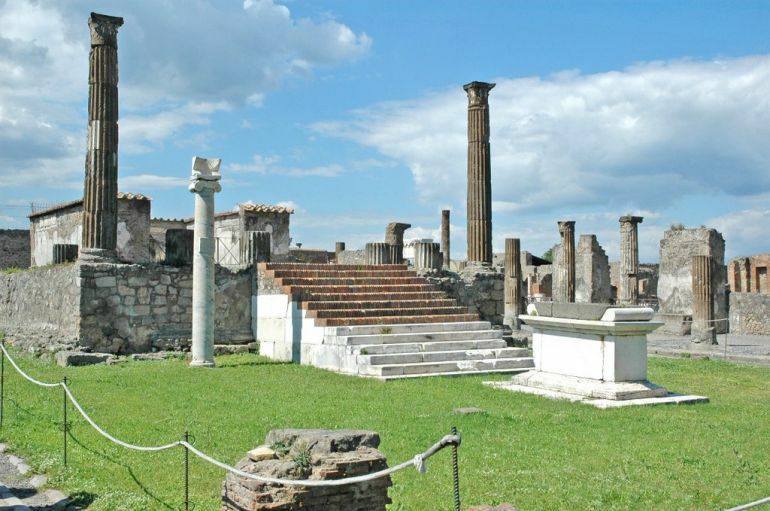 In fact, the site of Pompeii has been a popular tourist destination for over 250 years – thus merging an unfortunate episode of history and the innate level of human curiosity. 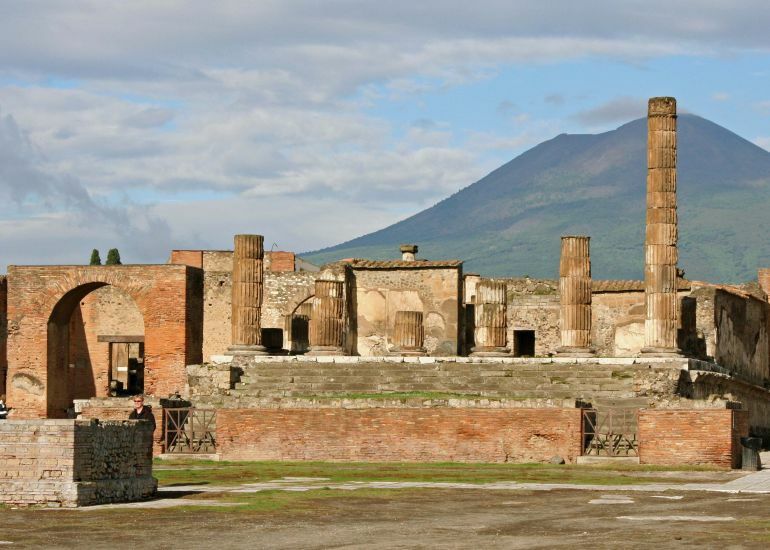 However beyond just the ‘popular’ impact of the disaster, there was the historical city of Pompeii – a thriving Roman settlement with over 11,000 in population. 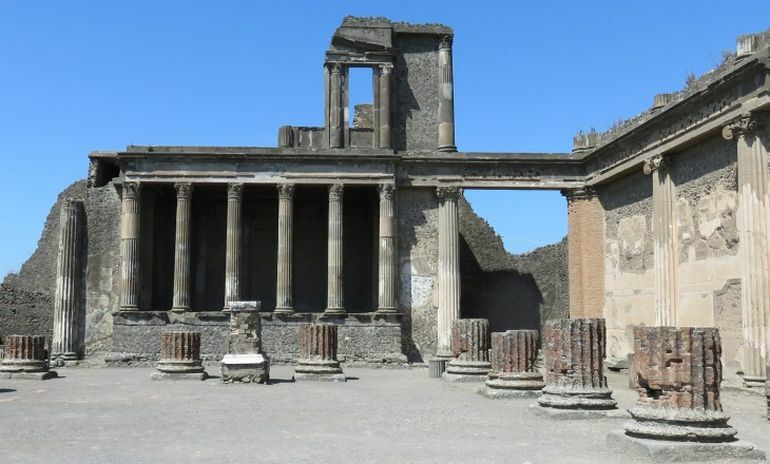 In fact, by late 1st century AD, Pompeii was known for its export of wine and its resort-like characteristics (which explains the bevy of ancient ‘holiday homes’ in the city). To that end, the folks over at Altair4 Multimedia have concocted a superb animation that aptly presents the historicity of Pompeii, before it was ‘marred’ by catastrophic events. The animation starts off with the Forum of Pompeii, which like in many Roman cities, pertained to the political as well as the commercial heart of the settlement. To that end, the Forum of Pompeii, rectangular in its plan, consisted of the principal municipal offices (including the tabularium), the courthouse (known as the Basilica), some of the main temples (including the Capitolium) and the bustling macellum (market). 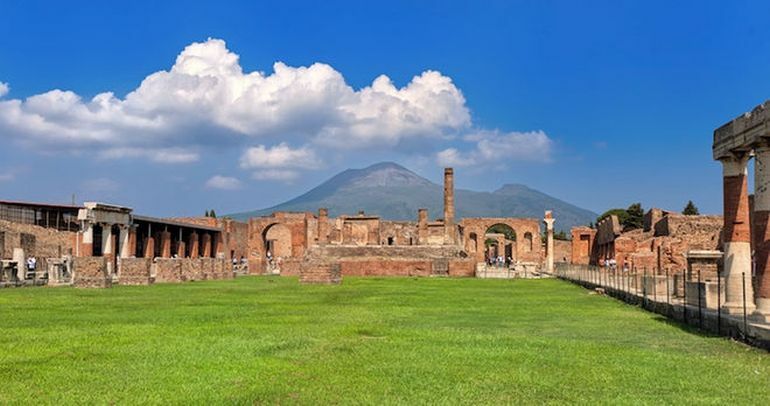 Interestingly enough, archaeological evidence has suggested that before the calamitous eruption of Vesuvius there were plans undertaken by the Roman city council to rather deck up and expand the forum area. In its core design, the Roman basilica was inspired by the Greek stoa, a spatial scope that was basically conceived to provide shelter to merchants and other small enterprises at the edge of the agora. In any case, the basilica of Pompeii probably served as a courthouse of the city, and it was built in late 2nd century BC, by the south west corner of the forum. The building in itself was pretty large, with its external dimensions measuring 226 x 86 ft. The complementary inner portico is formed by 12 x 4 columns and measures 150 x 42 ft, giving shape (and endowing volume) to the main hall comprising a long columnar nave surrounded by an aisle. The cult of Apollo was prevalent in the regions of Campania since at least 6th century BC, thus even corresponding to the Samnite period. 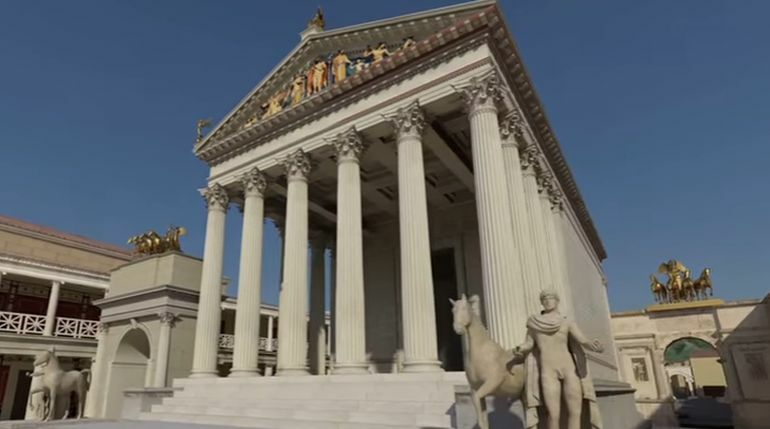 The subsequent sanctuary to the god was finally expanded and embellished with the Temple of Apollo, as shown in the video, in 1st century AD – possibly after the earthquake of 62 AD. This final form and expansion of the complex was patronized during the rule of emperor Nero, and as such the temple itself exhibited architectural features that fused both Italic and Greek styles. To that end, the structure showcases a rectangular plan, with the entire perimeter surrounded by a whopping 48 columns. And in line with classical architecture, the inner cella raised atop the podium was reached through a long flight of steps. Now interestingly enough, one of these columns, that visually marked the cella of the god, also contained a sundial. And since we brought up gods, the Temple of Apollo housed two statues, with one depicting Apollo with his arrows and the other representing Diana – both currently kept in the National Archaeological Museum in Naples. The main religious structure of Pompeii arguably pertained to the Temple of Jupiter (also known as the Capitolium). Located on the northern side of the Forum, the structure was possibly built in 150 BC, and dedicated to the triad of Jupiter, Juno and Minerva. In essence, the Temple of Jupiter mirrored the ‘Romanization’ of Pompeii, a city that was previously inspired by the Greeks, in spite of the earlier years of Samnite rule. To that end, this particular complex symbolized the effect (and scope) of Roman architecture in religious and civic life, with purely Italic design motifs dominating the facades of the large structure. In terms of volumetric dimensions, the base podium of the Temple of Jupiter alone measures around 121 x 56 x 10 ft or 68,000 cu ft. And as for the importance of the complex, the main hall that housed the statues of the gods, also enclosed a lower chamber that was used for storing sacrificial offerings as well as the treasury of the city. Unfortunately, a significant part of the temple was already destroyed by the earthquake of 62 AD, and thus the smaller Temple of Jupiter Meilichios was the primary seat of religious activities, circa 79 AD (when Vesuvius erupted). Pompeii has the distinction of having Italy’s oldest known permanent stone theater, and the structure was possibly constructed in 70 BC after the full-fledged Roman conquest of the settlement. Interestingly enough, in spite of its public status, the amphitheater was privately funded, probably by two local officials Quinctius Valgus and Marcius Porcius, in a bid to enhance their influence. 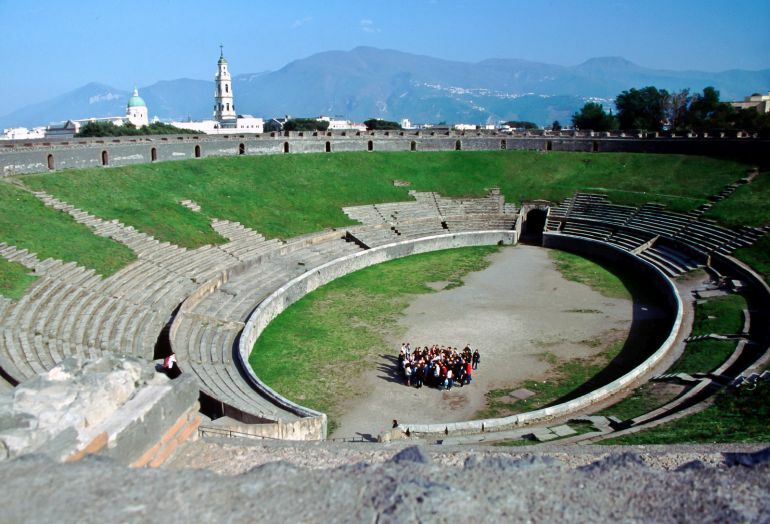 In any case, the theater, mainly known for hosting gladiatorial fights, was big enough to accommodate 20,000 people, thus suggesting how spectators also came from outside Pompeii, especially from the nearby towns. In fact, according to ancient sources, in 59 AD, spectators from the nearby town of Nuceria fought against the ones from Pompeii in an ensuing riot. As a result, Nero had to impose a ban on games inside the Pompeii amphitheater for 10 years. And finally in case you are interested in checking out the artistic reconstruction of Pompeii with a ‘then-and-now’ comparative scope, you can take a gander at the video below, conceived by Michel Clement.